Same logos but in new places this time around. From an assortment of colorways to hyped collaborations alongside Sean Wotherspoon and Virgil Abloh‘s Off-White™, the streamlined Nike Air Max 97 silhouette will add a new flavor to kick off December. Next up is a head-turning “Bright Citron” colorway — the upper and outsole see bold yellow coat with subtle black accents shared on the midsole for contrast. The most interesting feature for this ahead-of-its-time classic includes a few new logo placements throughout. “Nike” branding takes the places of the mini Swoosh hits on the lateral and medial sides with the toe served as the new location for the aforementioned mini Swoosh. 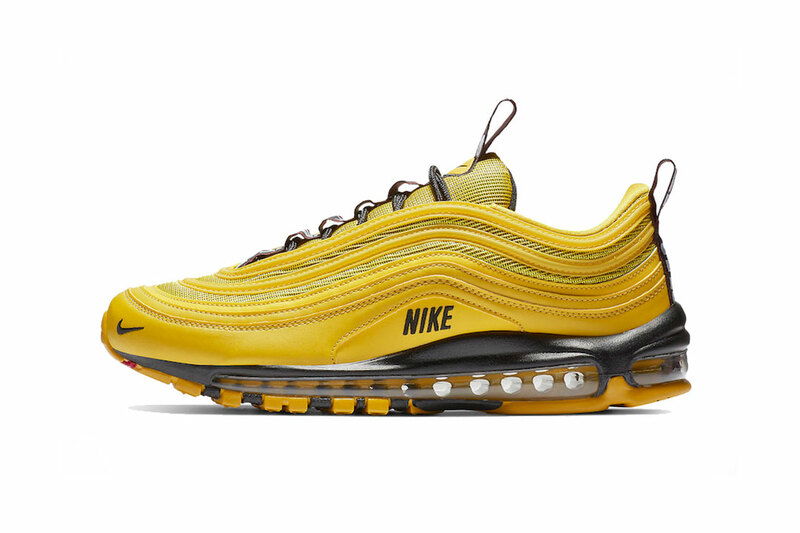 The Nike Air Max 97 Premium “Bright Citron” hits shelves on December 1 for $170 USD at select Nike Sportswear retailers and Nike.com. In case you missed out, the Air Max 97/BW will release in three new colorways this month. Nike Energizes the Air Max 97 in "Thunder Grey/Lime Blast"
Set to release next week. Coming to theaters this holiday season. A touch of shine to the layered model.